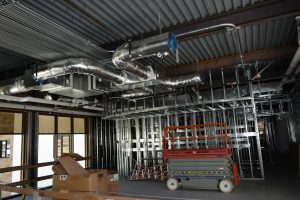 The work consists of providing a new building located at 860 Horn Rapids Road in Richland, Washington. The 3860 OFFICE building is 26,190 square feet total; 13,227 square feet on the first floor, and 12,963 square feet on the second floor. Air handlers are roof mounted.